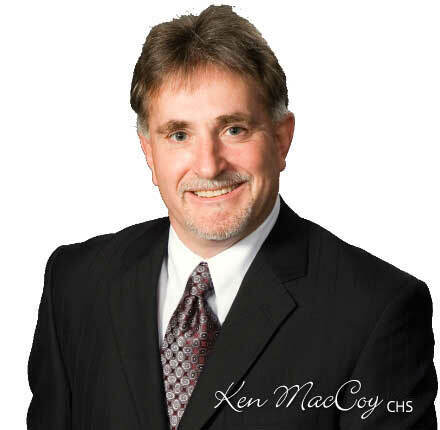 Independent financial advisor and owner of Ritepartner Financial Services Ken MacCoy takes time out of his busy day to tell WP his golden rule when dealing with clients, how he respects the late Jim Flaherty and why Canadians should give up on the lottery. Why financial advice? Financial Planning for retirement is the most important decision you will ever make! Most people grossly underestimate the money required for retirement. Why? Because while they don’t plan to fail, they fail to plan! Few have the expertise to calculate the retirement risks of: Life Expectancy, Inflation, Asset Allocation, Withdrawal Rate & Health Care and/or implementation of a financial plan. This is why everyone needs professional financial advice. Instead, most procrastinate until it is too late or are convinced they’ll beat the odds of 1 in 14 million and win the Lotto 6/49. How would you sum up advisors in three words? Strategic Financial Partner ... or in 4 words - My slogan: Your Strategic Financial Partner. How would you change the industry? Protect the consumer through higher standards. Specifically: Advocis would become the professional organization and regulator for all financial advisors in Canada. Membership would be mandatory. Professional accreditation & ongoing proficiency standards, strict continuing education requirements, code of professional & ethical conduct and appropriate levels of errors & omissions insurance would be required for licensing. A website would be established, so consumers could check up on their advisor. Best advice you’ve ever been given? Treat your clients exactly how you would want to be treated. What’s the most important thing an advisor can do to develop their business? Most advisors go after the investments. Be different, focus on insurance. Find your niche and become the expert for that segment of the business. Find an accredited and experienced associate to handle the investment business and do a 'split at source.' Specializing improves the quality of service and makes your practice more profitable. Ensure you treat your clients exactly how you would want to be treated. Then ask for introductions. The business will follow. If you were Prime Minister for one day, what would you do? Abolish the Senate. Review and (likely) cut the lucrative pensions for Members of Parliament. What’s the biggest challenge facing the industry today? Protecting the Canadian consumer through higher standards and getting the provinces and other organizations to agree on one federal regulator. Stanley Cup, Grey Cup, World Series, World Cup or other? 2014 Olympic Gold Medal Men and Women’s Hockey because it unites all Canadians. If you could invite three people to dinner, dead or alive, and excluding family and friends, who would they be and why? Ben Feldman – greatest life insurance salesman ever; Steve Jobs – down-to-earth individual and great entrepreneur; Jim Flaherty – a great Finance Minister and a true Canadian.